Because tomorrow's going to be another holiday (whoop-dee-do! 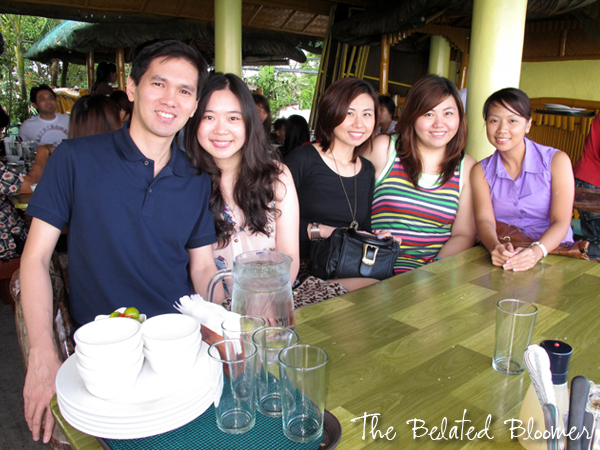 ), I decided to post about a previous holiday trip I took with friends to Tagaytay. One of the most-visited out-of-town places by locals because of it's colder climate and vicinity to the metro, Tagaytay is also known for a soup dish that is near and dear to Filipinos--the Bulalo. 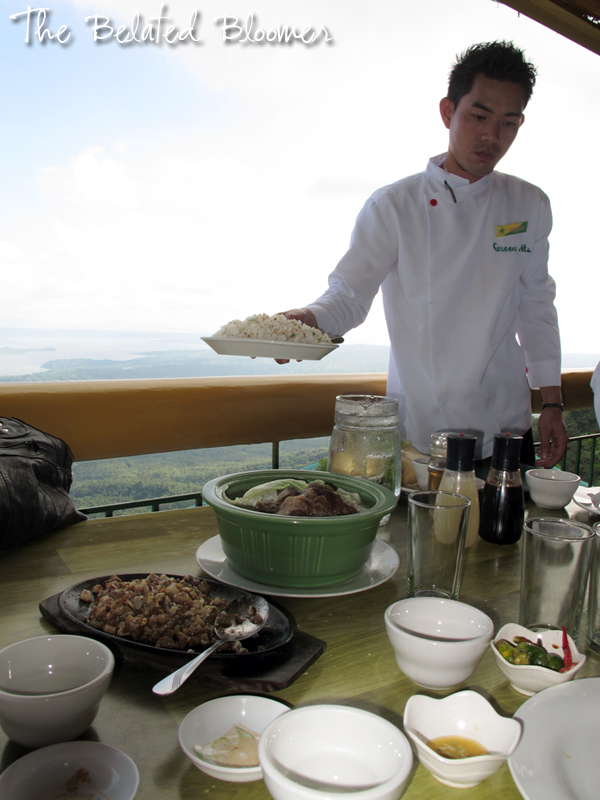 Perfectly located on a cliff overlooking the Taal Lake, Green ATS Restaurant has been my go-to place for the best Bulalo every time I visit. 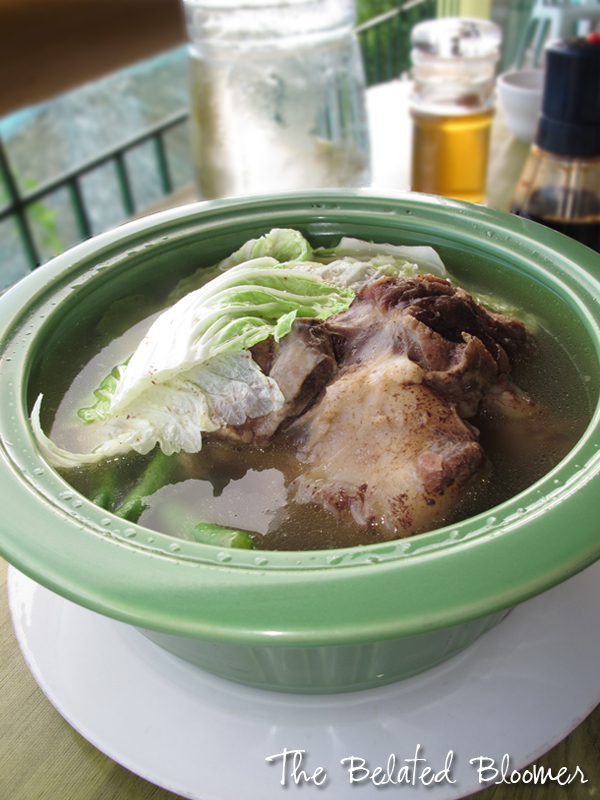 The Bulalo broth is made from boiling Beef Shanks for hours, until the meat is tender and the soup embodies the beefy flavor. The bone marrow is saved for last as people will usually fight for the right to slurp and scrape the cholesterol-laden content from the bone. Here we are seemingly patiently waiting for our food, but behind those wide smiles are nagging thoughts of starvation. Because of the huge number of people fleeing the heat of Manila, the traffic was heavy on the road and we only got there at around 2 in the afternoon. 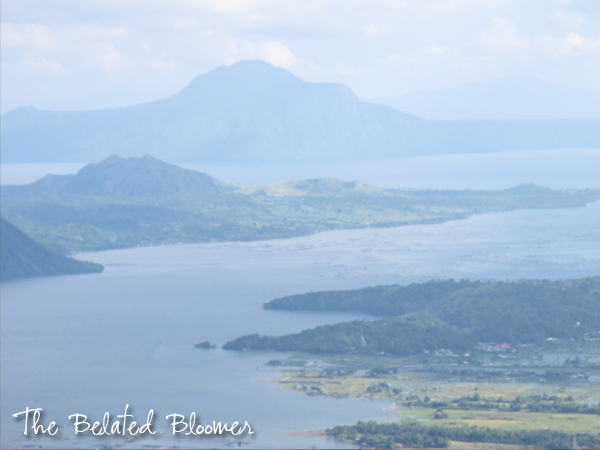 Our foggy view of Taal Lake. Our table faced the view, but honestly, we were more interested in the food. Crispy fried Tawilis is one of our usual orders here too. 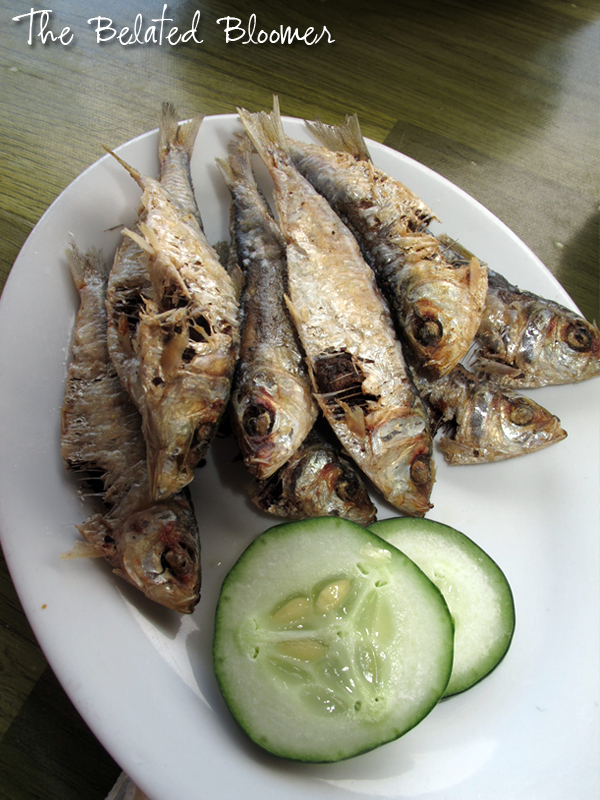 My sister's perennial favorite, the little fish is dipped in spiced vinegar and eaten (bones and all) best with steaming hot rice. To assuage our guilt from eating the Bulalo and the sizzling Sisig that we attacked before I could take a shot of it, we also ordered Fresh Ubod Lumpia. Green ATS served good, hearty, home-cooked dishes that filled us to the brim. This unassuming place is highly recommended for outings with friends, shared meals with family or a romantic date with your special someone. The pricing (around php300-php400 per head) is pocket-friendly too. 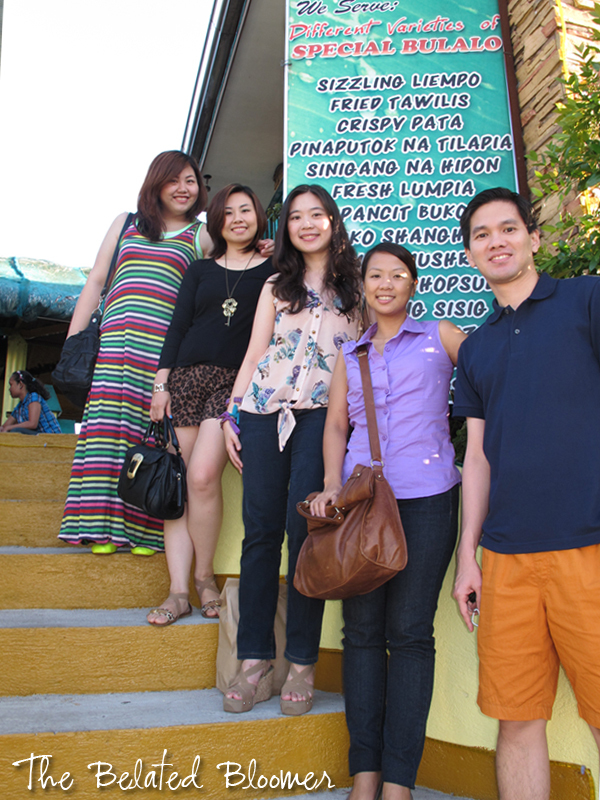 As usual, we had a group photo to memorialize our Tagaytay day trip together. Honestly, all we did that day was eat, eat and eat some more. But that's what holidays are for, right? It looks a great place to go! Sarap! 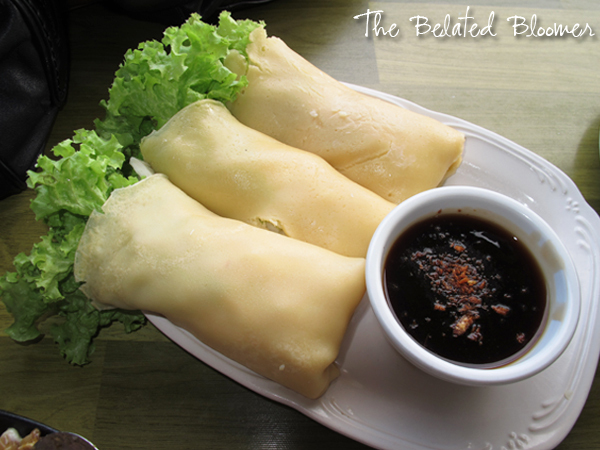 Never tried this resto, where in Tagaytay this at? Aguinaldo Highway, quite near where the original Bag of Beans is. :) You can have lunch here and then hop over to Bag of Beans for dessert! Yes, lots of fun! :D Thank you for dropping by! Oh that food looks fantastic, I want a bowl of soup right now :) Your family is super adorable, and you guys all look so chic! Aren't you so cute and colorful, Abi!? :) Nice maxi dress along with the neon flats. That final dish seems pretty healthy, and it's probably what I would enjoy (not to say I'm any health food freak). Taai Lake looks lovely from the picture you've taken. Cool post! I was supposed to take outfit shots, but sadly didn't get to. Thanks for noticing, John! Oh my, everything here looks so yummy! That delicious bowl of soup is what I need right now! You all seem to have had such a great time. These moments are a treasure and just unforgettable! Thanks Jenny! I'm craving for a hot bowl of bulalo right now too.